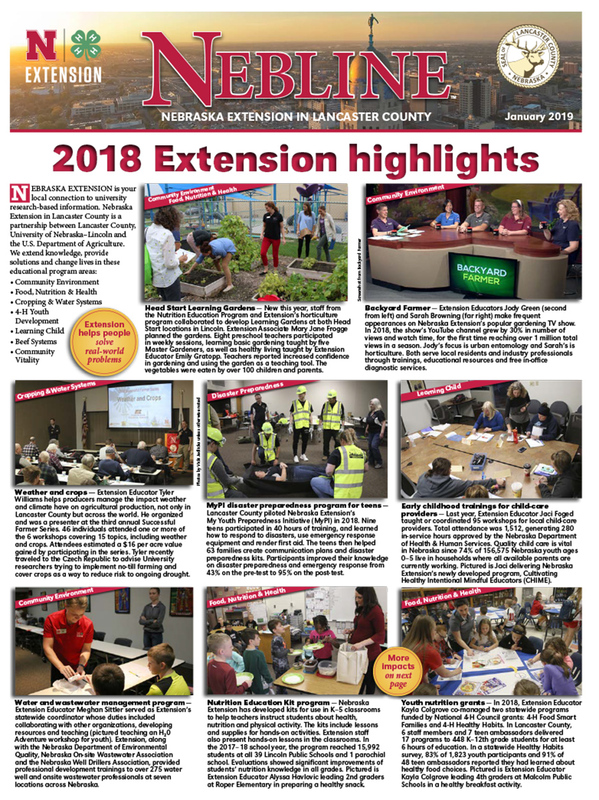 Nebraska Extension is your local connection to university research-based information. Nebraska Extension in Lancaster County is a partnership between Lancaster County, University of Nebraska–Lincoln and the U.S. Department of Agriculture. Extension helps people solve real-world problems.